The best investment you can make, is in a good sunblock. And our favourite is this Neutrogena Ultra Sheer Dry Touch Sunblock SPF 50. The sunscreen provides broad spectrum protection from the harmful UVA and UVB rays of the sun. The best part about it is that light weight and a non shiny finish, so it doesn’t make your skin appear oily once you apply it. A small pea size amount is enough for your entire face. It is water proof, sweat proof and has an extremely light fragrance which is great! One of the other positives is that it doesn’t leave a white cast on your skin after application which most other sunscreens do. 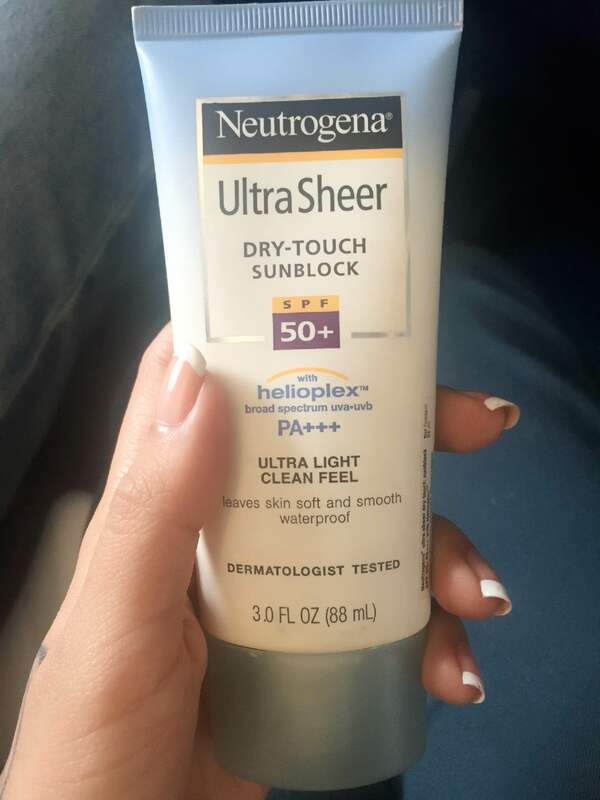 The packaging of Neutrogena Ultra Sheer Dry-Touch Sunblock SPF 50+ is quite sturdy and sleek. A white and blue tube with a semi-transparent screw cap. The nozzle is ideal for removing adequate amount of the cream for every use. Overall, we would definitely recommend this product for avoiding skin burns and skin tanning. Tip: Apply sunscreen generously before going outdoors. It takes approximately 15 – 30 minutes for your skin to absorb the sunscreen and protect you. If you wait until you are in the sun to apply sunscreen, your skin is unprotected and can burn. Use sunscreen on an everyday basis for keeping your skin healthy and sun-proof!